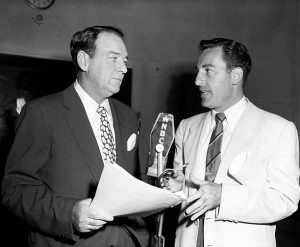 Posted on October 3, 2018, 8:00 am, by Ivan G. Shreve, Jr., under Anniversary, Classic movies, Classic television, Radio crime, Radio mystery. 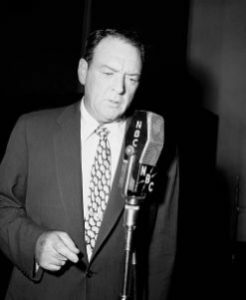 In his essential reference encyclopedia of old-time radio, On the Air, author John Dunning notes that actor William Gargan’s presence on the detective drama Barrie Craig, Confidential Investigator “was an interesting bit of typecasting.” “As a young man he had worked in a real detective office,” Dunning continues, “and had once confessed amusement at the blunders of radio detectives.” John damns the show that premiered over NBC on this date in 1951 with faint praise, noting that it “seldom rose above B-grade detective fare.” This is not necessarily a bad thing, speaking as someone who’s watched and listened to more “B-grade detective fare” than Carter has little liver pills. Here’s the straight dope: with Gargan on board, Barrie Craig was always worth a listen. 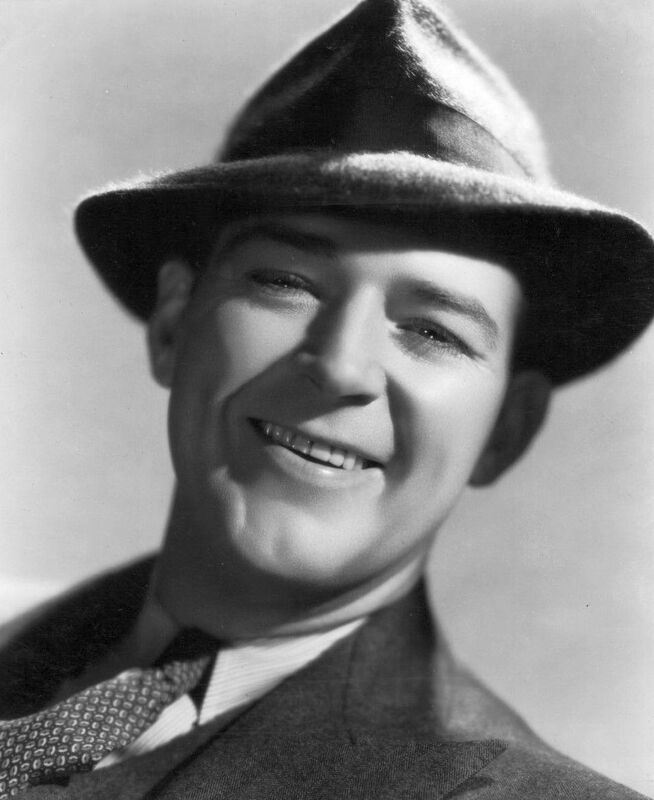 The strengths of Barrie Craig were with Gargan, of course, but also a dedicated stock company of New York acting talent that included Ralph Bell (as Lt. Travis Rogers, Barrie’s contact on the force), Parker Fennelly (as Jake the elevator operator), Elspeth Eric, Santos Ortega, Arnold Moss, and Amzie Strickland. 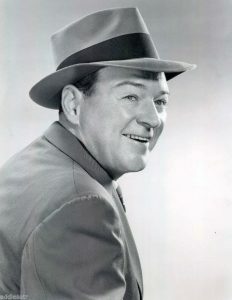 Himan Brown, the man who frightened radio listeners with the mere sound of a door in need of oil for its hinges (Inner Sanctum Mysteries), was the director for the series. 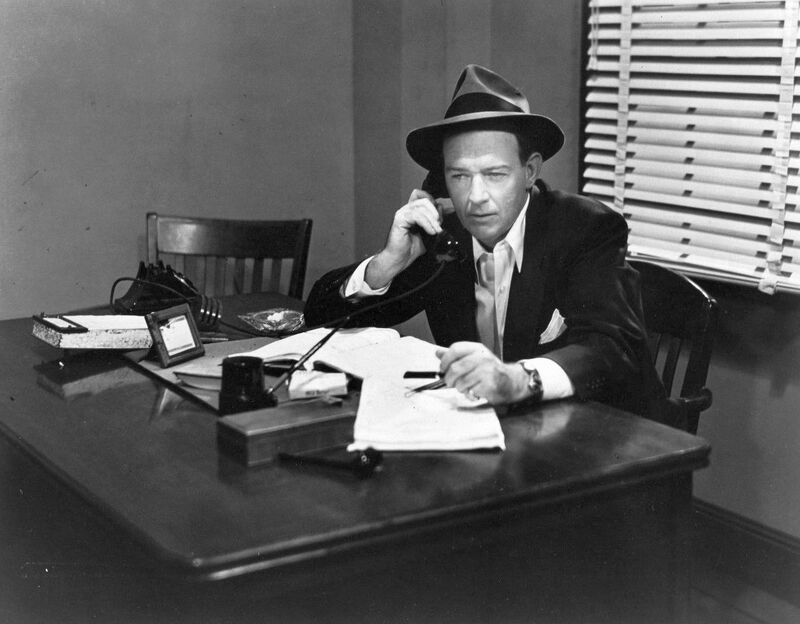 Scripts were contributed by veterans including Ernest Kinoy, John Roeburt, and Louis Vittes. Vittes had a gift for eccentric characters and offbeat dialogue, a talent he had previously displayed on the likes of Mr. and Mrs. North and The Adventures of the Thin Man (another Hi Brown show). 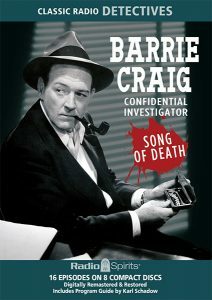 Laing wasn’t wrong about “the not too distant future,” by the way; “Corpse” would be the focus of Barrie Craig, Confidential Investigator when the show resumed on October 3rd. With his June 30, 1955 broadcast (“The Man Who Didn’t Get Them Wholesale”), Barrie Craig filed for unemployment …though the actor who portrayed him, William Gargan, would reprise his role as the original Martin Kane in a syndicated TV series in 1957 (The New Adventures of Martin Kane) before he lost his voice box to throat cancer. 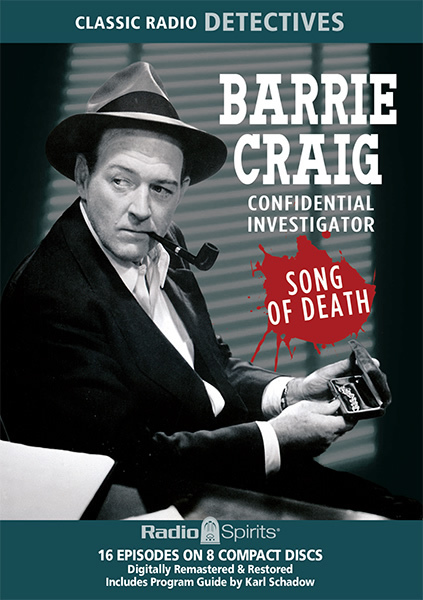 Radio Spirits has a brand-new collection of Barrie Craig, Confidential Investigator broadcasts headed your way in Song of Death, which spotlights the show’s New York years and performers like Jackson Beck, Joan Alexander, and Mandel Kramer. Keep an eye peeled for it, and for those impatient fans we also have our original release, Barrie Craig, Confidential Investigator, and a Craig show from 1955 (“Visitor at Midnight”) on our compendium of radio’s best gumshoes, Great Radio Detectives. « Happy Birthday, Barton Yarborough!